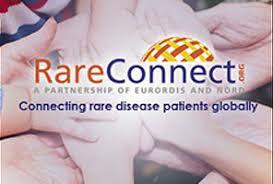 Please sign the petition – Fair for Rare! – Loving Danger! Please sign the petition – Fair for Rare! Please sign this petition – it won’t take more than 5 seconds of your time and it’s so important to support this project. There is no National Rare Disease Plan in Australia. It’s really important we get one for little tackers like Mikey, who I blog about on our daily joys, challenges and issues we face, now he lives with a rare disease. It impacts the whole family, community and society as a whole. Rare disease, rare epilepsy, rare cancers and other rare conditions can strike any one of us, at any time, during our life times. Sign the petition and show the policy makers that all Australians living with rare disease deserve a ‘fair go’. Australian governments can and need to do better. Join us in a growing groundswell movement – let’s create change for the Australian rare disease community. We ask YOU to Take Action and demand Fair for Rare. When the problem is larger than life, but you can’t see it. Are you ready…. to do the Bus Stop?! **This post is dedicated to Poppy Pring – the Bus Driver!